Shop Sprayground backpacks, duffle bags and travel luggage online In (London, UK) If you are planning to buy a new back pack this summer make sure you invest in a Sprayground backpack. 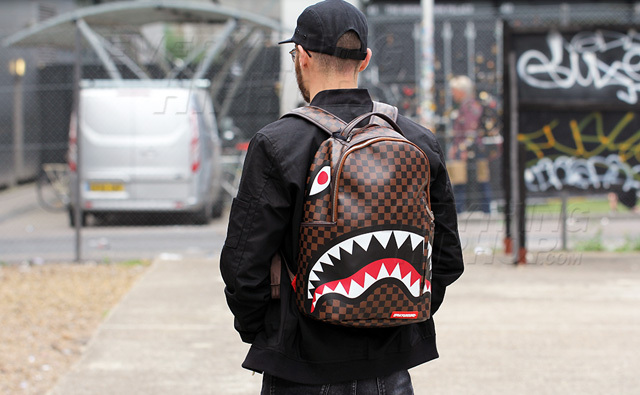 These bags are pushing the boundaries of fashion with styles like the Sharks in Paris backpack featuring an all over print design similar to Louis Vuitton. 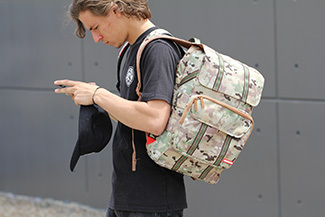 Sprayground is a innovative company bringing you an exciting and refreshing take on urban streetwear. The artwork incorporated in the Sprayground backpacks draws inspiration from popular culture and new age concepts. Sprayground are mostly known for their backpacks and duffle bags but it doesn’t stop there, they also produce jackets, caps, balaclavas, travel luggage and more. In 2010 Sprayground released the, Hello My Name is backpack while most other companies were still creating basic and uninspiring bags. 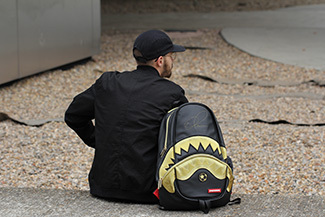 This design was quickly followed up by the Money Stacks backpack which was another huge success, and then the most recent Sharks in Paris backpack which is still very much in demand. The quality of these backpacks is second to none, they are very durable and highly functional. If you’re going abroad this year and you need a bag to efficiently pack your sneakers away in, say hello to the Sprayground Multicam Sneaker duffle bag. This ingenious bag has a separate compartment designed to house your sneakers. Here are some more features you can expect to find when you purchase a Sprayground bag. Headphone slots, laptop compartments, and inner sleeves for your tablets and smart phones, perfect for any fashion forward millennial. Check the styles below, or visit our UK based online store @ www. everythinghiphop.com for more designs. If you like the bags you see above please visit Everythinghiphop.com for more styles. Contact Everythinghiphop today for all the latest streetwear, hip hop and skate clothing.